The quality of your wine depends on controlling many factors, like light exposure, air humidity, and storage temperature. 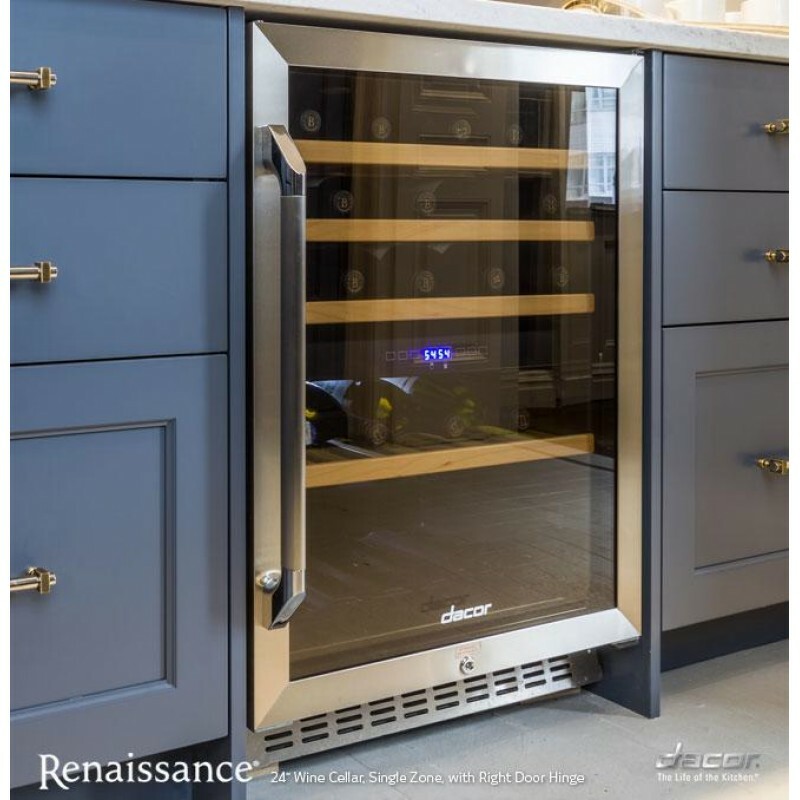 The RNF24 Renaissance Wine Cellar from Dacor maintains cellar temperatures, creating an environment where your wine can fully develop. The shelf components are purposely constructed with beechwood, taking advantage of the wood’s natural vibration absorption properties to inhibit label abrasion typically associated with metal wire racks. The EasyGlide™ shelves effortlessly slide forward, keeping your collection easily accessible. Large internal capacityholds up to 46 bottles (750 ml). Interior LED lightsprovide a clear view of your collection. Dual paned, UV resistant tempered glass doorshields wines from harmful UV rays. DynamicClimate™ modedistributes relative humidity and temperature evenly throughout the unit so that all stored bottles are preserved under the same conditions. Temperature alarmto alert when temperature falls below desired temperature. Low vibration cooling systemquietly maintains interior temperature. Electronic control panelto easily view and adjust settings. Door lock and door alarm keeps your collection secure. This a great buy! 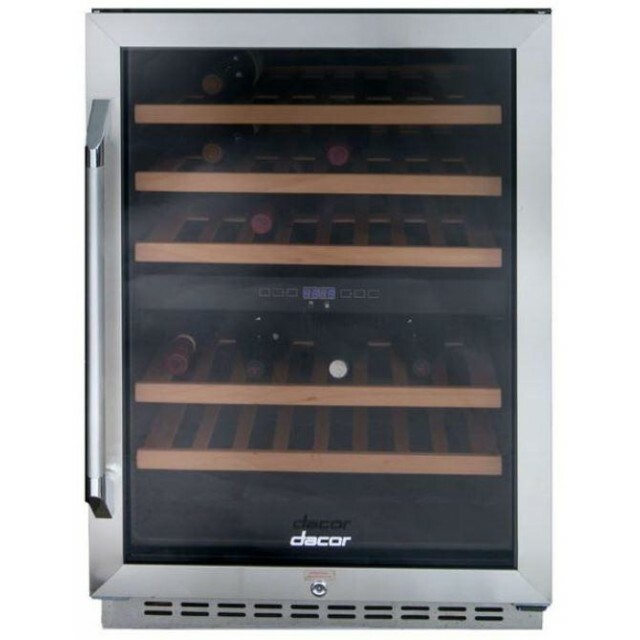 We have this Dacor wine cooler for almost a year now and we have no problems. We enjoy our wine and it keeps it where it should be. Would recommend getting this unit if you are a wine lover.